China’s People’s Liberation Army Navy will hold its 70th anniversary celebration on April 23. The parade of military vessels will be joined by navies from around the world in the Yellow Sea off the coast of Qingdao in east China’s Shandong Province. The naval demonstration is to signify China’s coming of age as a maritime power. The country held its first naval parade in 1957, less than a decade after its founding. 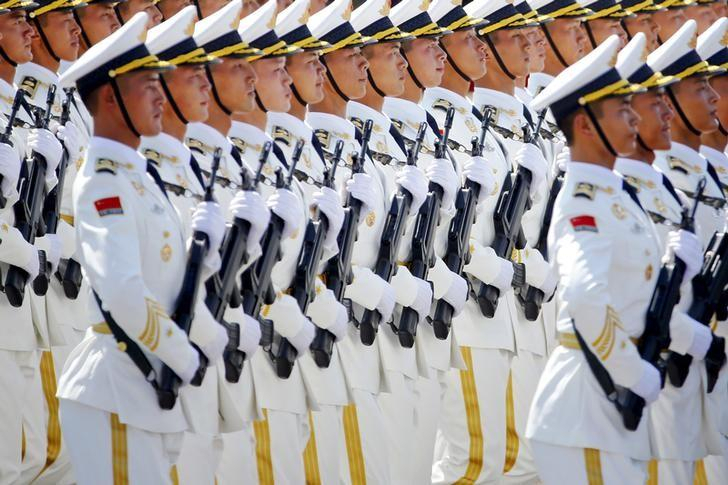 As a developing country that had to catch up with more developed maritime powers at the outset, China underwent a series of reforms to modernize its military in recent decades. The demonstration is a signal of China’s rise coupled with the need to take on greater responsibility in the realm of domestic security. “The parade is intended to demonstrate that naval development is to protect the overseas interests and its sovereignty of the surrounding waters,” said Chen Xiangmiao, a research fellow at the Hainan-based National Institute for the South China Sea, told CGTN. He said that as global powers compete in Asian waters, the need for the navy to protect China’s maritime sovereignty and security increases. Naval strength will also contribute to China’s trade interests as it further expands and integrates countries within the framework of the Belt and Road Initiative (BRI). Since a core component of the initiative relies on maritime trade, ensuring that channels for shipping remain free and safe from bad actors such as pirates are important to fostering regional prosperity. A strong Chinese navy can act as a deterrent in preventing these negative elements from even considering sabotaging shipping lanes and the wider logistical network. “This means that the navy is needed, from shallow waters to deep waters, as China’s overseas interests have expanded, with its net assets overseas reaching trillions of dollars and millions of its citizens stationed abroad especially since China’s accession into the World Trade Organization,” Shi told CGTN. China’s navy has completed its transformation from a brown-water force to a green-water fleet, and now it’s going blue, taking a proactive part in humanitarian missions and security operations. Last but not least, the naval demonstration shows that China’s military modernization has culminated in impressive results. The country commissioned its first aircraft carrier now known as Liaoning in 2012, after extensive modernization of an unfinished Soviet Navy hull it had purchased back in 1998. Now, the country’s first domestically built carrier is awaiting commission, possibly as soon as next year. Seventy years on, China’s PLA Navy is still growing, but its reforms and rising technological prowess have made it ready for the challenges of an increasingly divided world.